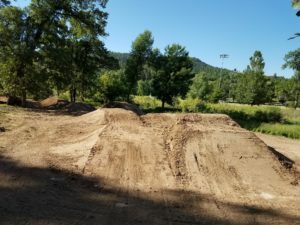 In early 2018 the Sturgis PAL Board of Directors teamed up with the staff of Extreme Dakota Bicycles and collectively began efforts to raise funds for the construction of the Sturgis Bike Park. 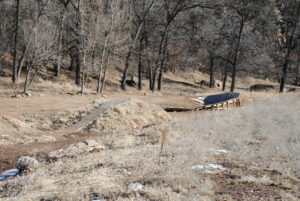 The Sturgis Bike Park was to be built for users of all ages. 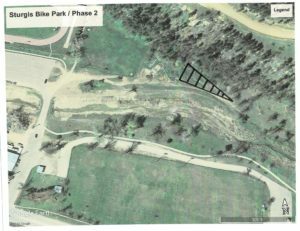 Phase 1 of the Sturgis Bike Park included two paved “Pump Tracks.” One pump track for users of all ages and the second pump track will be designed for younger and smaller children. 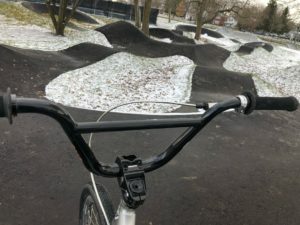 A “Pump Track” is a fun place to ride, skate or use a scooter for people of all ages and skill level. The “Pump Track” is designed so the rider can maneuver the track with minimal pedaling or pushing. Phase 2 is a “North-Shore” style skills park for users of all ages and skill level. The skills park will include obstacles such as drops, wall rides, skinny lines and jumps. The skills park was constructed with a combination of wooden obstacles and dirt paths. 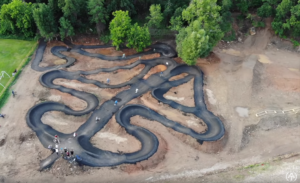 Phase 3 included the construction of dirt jump park, which will include a series of BMX style dirt ramps and table-top jumps constructed with safety in mind. 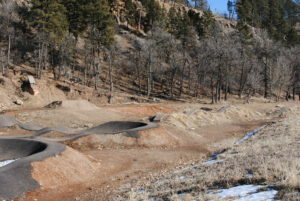 Sturgis PAL contracted with Pumptrax USA to complete the construction of the Sturgis Bike Park. Pumptax USA specializes in the construction of top caliber BMX and Pump Track. 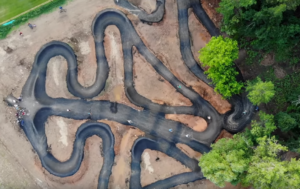 Pumptrax USA was contracted to build Olympic BMX tracks for the 2008, 2012 & 2016 Summer Olympics. 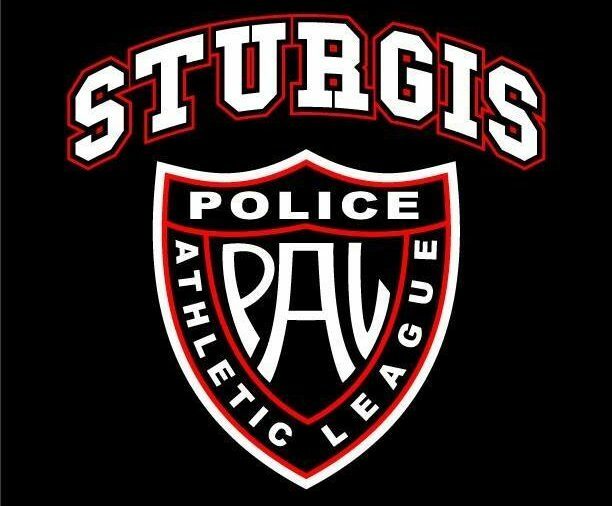 The Sturgis PAL Board of Directors is excited to announce that we have recently begun fund raising efforts to expand the Sturgis Bike Park in the Spring of 2019. We have set a goal of $45,000 to cover the expenses to construct a 2nd paved Pump Track in the area that is now the Skills Park. 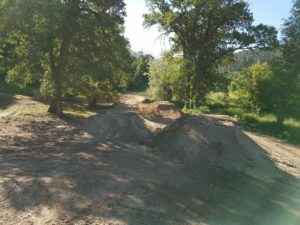 This Pump Track will be built to offer a more challenging ride for the older kids and more advanced riders that visit the Sturgis Bike Park. The addition of the 2nd Pump Track will also create more room for all riders and make a safer environment for all!